Tubular ring base of folded glass on conical to domed base. Faint blowing spirals. Yellowish colorless (PMS 600C and lighter), transparent. Frequent pinprick and small, spherical bubbles. 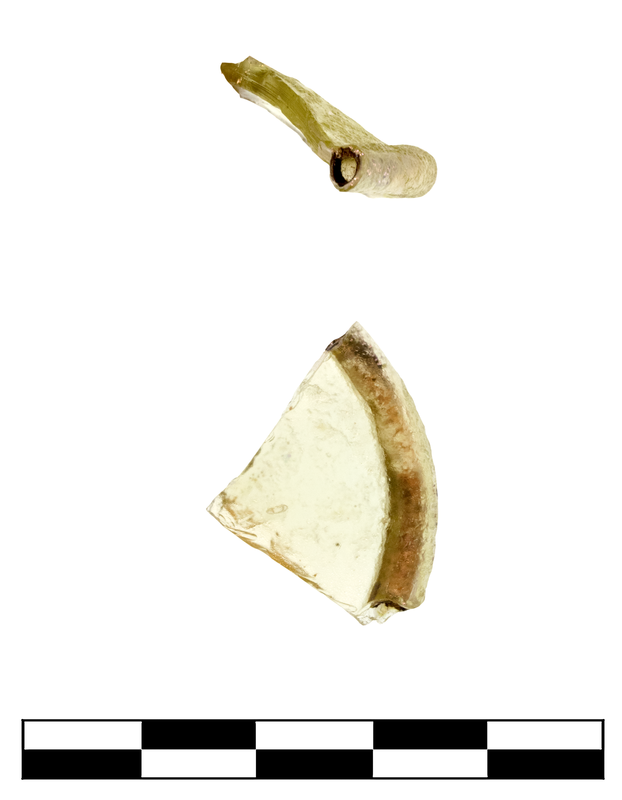 One fragment preserves roughly one quarter of base. Slight, sparse dulling and iridescence; moderate to severe, extensive pitting and chipping along edges.